Dropbox is a file synchronization service that provides a sophisticated and secure server to store your files and keep them updated across multiple devices. With an estimated value of 4 Billion USD and over 200 Million users, Dropbox enjoys a respectable place amongst the ranks of major cloud storage providers. The free version of Dropbox offers limited basic storage of 2 GB, which gives a serious edge to its competitors. However, you can expand it further to 16 GB by referring Dropbox to your family and friends. Each referral earns you 500 MB of additional storage space. The premium plan offers many features such as a whopping 1 TB storage capacity, instant camera uploads, better sharing controls, an extended version history, mobile offline folders, smart sync, remote device wipe and much more. One of the handy features of Dropbox is its ability to preview files with no need to download them or use a plug-in. Dropbox encrypts your data with the 256-bit AES encryption standard to prevent exposure of your sensitive information to any rogue individual, should the worst happen and hackers or data thieves somehow hack your account. This encryption standard is used by almost every firm worldwide from Microsoft to Apple. Dropbox can synchronize your data between any device, including major operating systems such as Microsoft Windows, Mac OS, Linux, iOS, Android and alike. Dropbox brings all of your stuff together, in one central place. The only requirement is a working Internet connection. Major email service providers these days impose a maximum file size limit to email attachments. With Dropbox, that is no more an issue. You can send large files to your colleagues with a simple browser-based interface. Dropbox offers many other add-on features as well. When you capture screenshots, Dropbox will automatically upload them to your Dropbox account in a separate folder called Screenshot. Pressing Ctrl + Print Screen will automatically upload a screenshot and generate a unique file link of the uploaded screenshot to your Windows Clipboard. Send this link to your friends and colleagues to share the screenshot with ease. However, if you change your mind, you may disable this feature using the Dropbox Preferences dialog box. One of the lesser known facts is that Dropbox has a handy feature to remotely download and manage torrents even when you’re out of your home. Imagine you’re at your workplace and you don’t have access to the BitTorrent service to download your favorite movie. Luckily, there’s an easy way to get things done so long as the BitTorrent client is up and running on your home PC and it is configured to automatically monitor your Dropbox account for any new torrents. Just save the torrent file to your Dropbox account and the BitTorrent client running on your home PC will automatically download the movie so you be well prepared to watch it as soon as you step inside your home. This is a really handy way of downloading torrents with ease without bothering about place and circumstances. Too Many Duplicates in Dropbox? If one fine day your Dropbox account brings up the limited storage space prompt, an upgrade might not be the way to go as you might well have lost a considerable amount of storage space to duplicates instead of genuine and valuable files. Duplicate files may occupy a significant portion of your account and manually cleaning them can be a hefty task given the amount of time the whole process requires. Aside from wasting a significant portion of your cloud storage, these files make it difficult to find the latest, more accurate version when required. Fortunately, there is a great tool to dig out duplicates without you having to spend hours in front of the computer screen. Using the browser-based Duplicate finder for Dropbox app called the Cloud Duplicate Finder, you can free-up your Dropbox account from unwanted clutter. Delete the dupes to increase your productivity and spend lesser time organizing your files. You don‘t need to download any software to your PC. Open the CloudDuplicateFinder.com in your browser, create a free account, and add your Dropbox account to it. 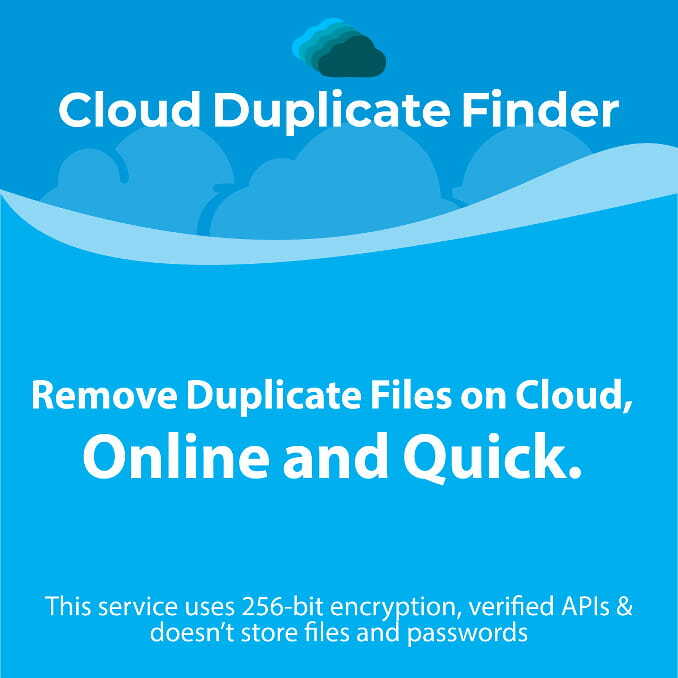 Cloud Duplicate Finder can detect identical files over a home or corporate network straight from your browser with the most accurate results. 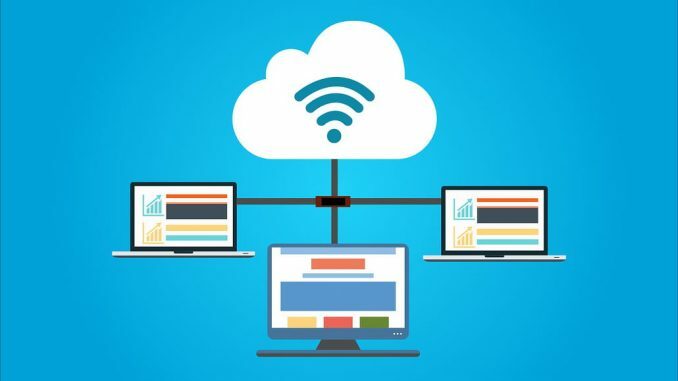 It also eliminates the need to sync any data to your PC, thereby saving you an enormous amount of time as well as sparing the bandwidth for other uses. Cloud Duplicate Finder allows you to customize the search and apply File Filters. You may use the Custom Scan to search for documents, images, videos, or archives. Or you may even choose to scan all files. Keep in mind, no files will be deleted without your consent. Even after the scan, you may choose to retain all files, if you wish. Cloud Duplicate Finder finds duplicates based on different criteria such as fuzzy matching algorithms and MD5 algorithms. Fuzzy matching algorithms can find files with identical or similar file names while the MD5 algorithm searches for identical copies of your documents based on common Hash. If two or more files contain the same text, they will have the same Hash Code. The in-house Preview feature allows you to preview files before taking an action. This feature comes in very handy when you want to scan for duplicate images. Go to the Cloud Duplicate Finder website and click the CREATE AN ACCOUNT button. Type your first, last name and a valid email address in the registration form. Check the I agree to Terms & Conditions option and click Proceed. You’ll get a verification email on the email address you just provided. Click the verification link to instantly verify your account by settings the password for your Cloud Duplicate Finder account. If you don’t get an email in the Inbox within the next few minutes, check the Junk/ Spam folder. Note: We recommend using both the upper as well as lowercase letters in the password, as well as using numbers and a special character. Once you’re logged in to your account, click the Dropbox tab. Click the Add New Drive button on the left. Enter your Email and Password associated with your Dropbox account and click Sign in. Log-in to your Dropbox account, and click Yes when you’re prompted to confirm access permissions. CDF plans allow you to add multiple accounts to the web-service. The process of adding accounts is same, you just need to logout from one account before integrating a new one. Now you should be seeing a list of all your Dropbox folders on the left-most pane of Cloud Duplicate Finder. Check all the folders that you want to scan. To run a scan for all file types (documents, music, images, and videos), use the All Files option. Alternatively, select the Custom Files option, and select your desired file type(s). Click on Scan to start the scan. The scan might take a while to conclude. Once it is over, you will be shown a pop up on the screen detailing the number of duplicates detected as well as the storage space lost to them. Click OK.
Click the Select Duplicates button, and choose between retaining the newest or oldest file in each group. Click on Selection Action and then Move to Recycle Bin. The deletion process will take a while to successfully conclude as it depends on your Internet connection as well as the Dropbox API‘s pace.